Everywhere you look online, you see reviews and recommendations for web hosting companies. 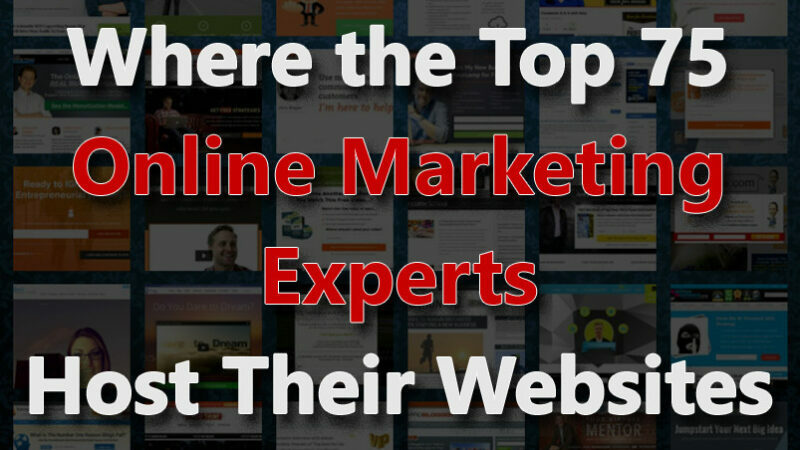 But do you ever wonder which web hosting services the top online marketers use to host their own sites? After all, these folks depend on their websites. They need to be fast and reliable. If their sites aren’t loading quickly, they’re losing visitors and sales. And if they aren’t selling, they’re not eating. Social media, blogging, and Internet marketing. Blogger and host of the Niche Ideas podcast. Blogging and search engine optimization (SEO). Host of The Fizzle Show. Blogger and host of The Authority Hacker podcast. Blogger, speaker, and author of several books. Blogger, speaker, and author of Blogging The Smart Way: How to Create and Market a Killer Blog With Social Media. Blogger and host of the My Wife Quit Her Job podcast. Blogger and author of Blogging Secrets and Make Money Online: Roadmap of a Dot Com Mogul. 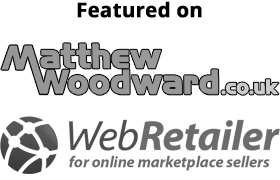 Blogger, founder of Copyblogger, and producer of the Rainmaker.FM podcast network. Blogger and author of Free Marketing: 101 Low and No-Cost Ways to Grow Your Business Online and Off. Social media, content marketing, and mobile. Blogger and author of Think Like a Rockstar: How to Create Social Media and Marketing Strategies That Turn Customers Into Fans. Starting and growing a blog. Creating a powerful personal network. Search engine optimization (SEO) and link building. Search engine optimization (SEO) and content marketing. Blogger and author of Brainfluence: 100 Ways to Persuade and Convince Consumers with Neuromarketing. Blogger, speaker, podcaster, and author of Virtual Freedom: How to Work with Virtual Staff to Buy More Time, Become More Productive, and Build Your Dream Business. Internet marketing and making money online. Search engine optimization (SEO) experiments. Online business and course creation. Blogger, social media marketer, and author of Will the Real You Please Stand Up: Show Up, Be Authentic, and Prosper in Social Media. Blogger and author of The Happiness of Pursuit. Growing your business with video. Blogger and host of the Niche Pursuits podcast. Advertising, digital marketing, and social media blogger. Blogger, speaker, and author of Stop Guessing: Your Step-by-Step Guide to Creating a Social Media Strategy. Social media traffic, list building, and conversion. Blogger, host of the This Is Your Life podcast, and author of Platform: Get Noticed in a Noisy World. Blogger, speaker, and author of Duct Tape Marketing: The World’s Most Practical Small Business Marketing Guide. Blogger and host of the Rise of the Entrepreneur podcast. Blogger, speaker, and author of numerous books. Host of The Side Hustle Show podcast. Blogger covering marketing conversion rate optimization. Blogger, speaker, and social media consultant. Blogger covering blogging and writing effective headlines. Blogger and host of The Art of Paid Traffic podcast. Host of The Solopreneur Hour podcast. Blogger and co-founder of Crazy Egg, Hello Bar, and KISSmetrics. Social media podcaster and blogger. Blogging and Internet marketing strategies. Blogger and host of the Blog Marketing Academy podcast. Blogger and author of Millionaire Within: Untold Stories from the Internet Underworld. Blogger, speaker, and author of ProBlogger: Secrets for Blogging Your Way to a Six-Figure Income. Blogger and host of Learning With Leslie podcast. Blog creation and online marketing. Blogger and host of the SuperFastBusiness podcast. Blogger and author of I Will Teach You To Be Rich. Blogger and host of The Suitcase Entrepreneur podcast. Blogger, speaker, and author of What’s The Future of Business. 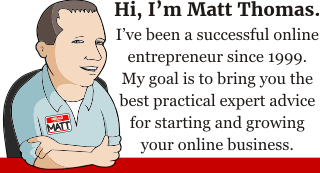 Blogger and host of Entrepreneur’s Journey podcast. Blogger, podcaster, and author (with his wife, Alison Kramer) of UnSelling: The New Customer Experience. Speaker and host of The Eventual Millionaire podcast. Internet marketing and search engine optimization (SEO). Blogger, speaker, social media scientist, and author of The Science of Marketing: When to Tweet, What to Post, How to Blog, and Other Proven Strategies. Social media and Internet marketing. The list features savvy, expert marketers and their choice of popular hosting providers reflects this. Dominating the list are higher-end dedicated servers and managed WordPress hosting providers. This really isn’t a surprise. What I didn’t expect, however, was the number of very popular online marketers who seem to use inexpensive shared hosting quite successfully.. While online marketers chose many different web hosts, I found that the majority also use CloudFlare. While I knew CloudFlare was popular, I was surprised by how many sites use it — even if they’re also using top-of-the-line hosting. CloudFlare can be used to increase speed and security and offers a variety of free and paid options. Especially for sites using CloudFlare, load times did not make it immediately obvious who was using $4/month shared hosting versus a $300/month dedicated server. But with web hosting, you almost always get what you pay for — and even though CloudFlare smooths many of the bumps in the road, it can’t be expected to make up for all of the disadvantages of shared hosting. For very busy sites or those running forum or e-commerce software, the extra resources you get with a virtual private server (VPS) or dedicated server are worth it. For some people, shaving even a second or two off page loading times are worth the premium price. My bottom-line recommendation is to start with inexpensive shared hosting until you’ve proven your site will attract visitors (and make money). Once your site is consistently earning over $500/month, you should consider one of several very good options in the $30-$100/month range. Unless you’re experienced with Linux or you plan to hire someone, managing a server will be a headache for you. Consider one of the excellent managed WordPress options for the best performance and value. NOTE: Compiling this list required many hours of searching public DNS records. Although I’ve tried to be as accurate as possible, I’m sure I’ve made a few mistakes. In some cases, for example, I may list an “upstream” hosting provider which leases servers to a smaller host. Some hosts that are owned by the same parent company share blocks of IP addresses making specific web host identification difficult (BlueHost vs. HostGator, for example). Also, some folks change hosting providers frequently — I’ll try to keep up! Please let me know if you discover any errors and I will be happy to correct them. I apologize for any mistakes ahead of time! Great compilation of the list! I know my words of appreciation cannot pay a dime for the hours you put in for the research. Looking at the list I see few HostGator which I know its okay. They used to be good but sadly not now. And BlueHost is there for quite much which is interesting! Thank you once again, Matt, for the list! Happy to share it on my social life! I have hosted several sites on Hostgator over the years, but a large-scale multi-day outage last year soured me somewhat. I also have sites hosted at BlueHost and have had no issues with downtime. But both Hostgator and BlueHost are owned by the same company — Endurance Intl. — and you have to wonder if there are more back-end similarities than differences. One host that I had heard good things about and expected to see on the list was A Small Orange. But, alas, they’re also owned by BlueGator’s parent, Endurance…. Do you have recommendation hosting company that have data center in Asia?